We offer high quality medical grade stainless steel bands. Customized with English Letters and Symbols. All the rings are hand stamped under strict quality control whether its at an event or for a fundraiser and we take great pride in offering a long lasting product. The stainless steel is Grade 316, which means it doesn't rust/tarnish or turn your finger green. With the exception of stacker rings, rings are comfort fit bands and engraving complements the quality of the bands perfectly. 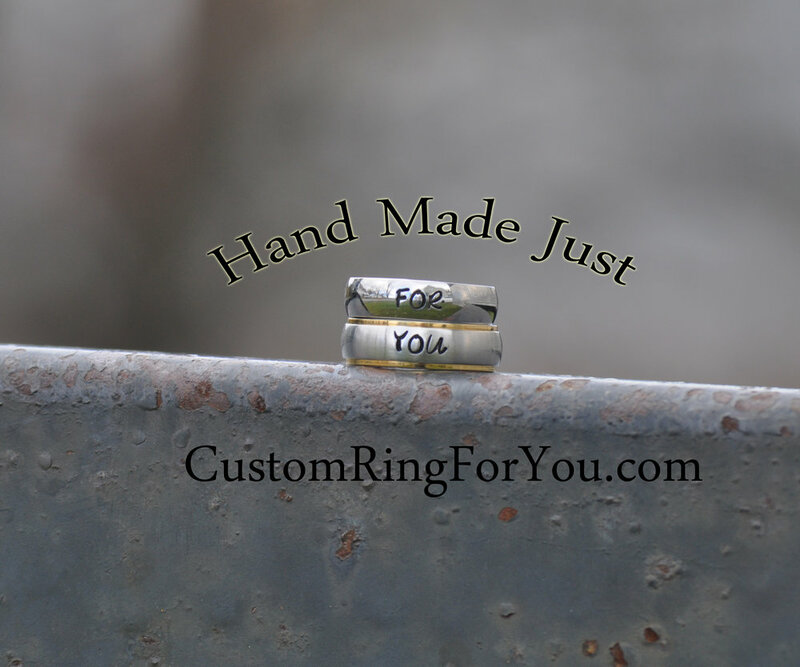 We are a small company out of Central Vermont that makes custom stamped rings to order for you! We have a passion for perfection and strive to make a difference with all of our products. In 2015 we started making hand stamped rings for friends and family. Now our business has expanded to a national market and we offer rings shipped across the globe. We also are in the fundraising world and help many projects gain funding by partnering with us. From a small town in Vermont we hope to make an impact in your world. Owner Daniel Jolley is confident that our product will meet all expectations and is heavily involved in the engraving and packaging process. Every ring that is shipped gets personally inspected by at least 2 people, we are small enough to give you quality customer service at a personal level, but large enough to process whatever size order no matter how large in a timely fashion- guaranteed less than two weeks! Individual orders on our website are generally shipped the next business day.